We welcomed Fall by spending our Go See Do project in Julian for the Apple Harvest Festival since it is the beginning of their apple season. 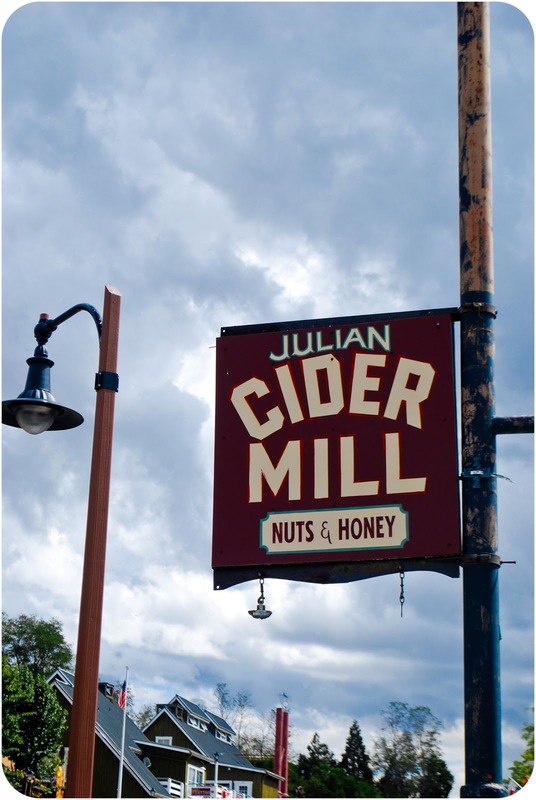 Once we found our way into town, we stopped at the Julian Cider Mill. Let me just say that there are few things in the world that taste better than a glass of fresh, raw apple cider. The Julian Cider Mill had all kinds of other yummy things that I purchased such as: English toffee, salt water taffy and chocolate covered cinnamon bears (which I was especially craving since I've only seen them in Utah and that makes me a little sad since we weren't there this year for Conference). The next store we happened upon was an old-fashioned soda fountain. Since David and I are children of parents who were raised in the 50's and often reminisce about Bob's Big Boy, we decided to stop in and see if it lived up to our expectations. I have to say that it felt really fun to sit at the bar and order a grape soda while we watched them mix it up right in before our eyes. 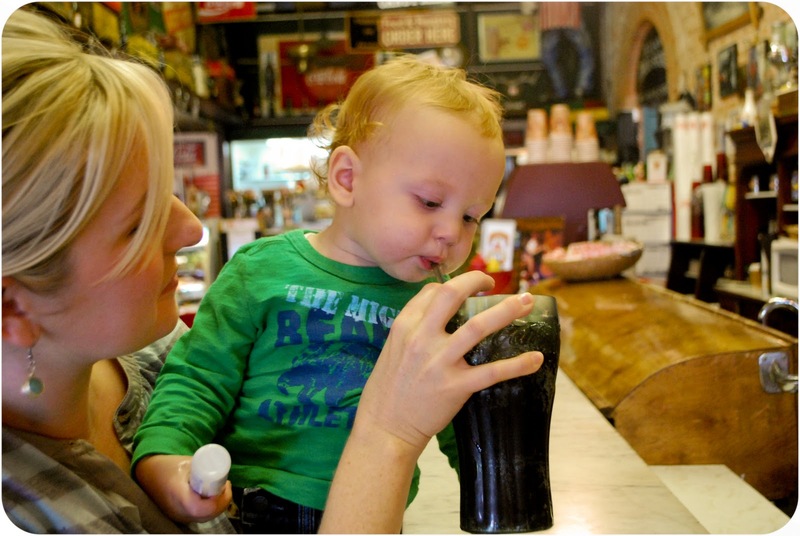 But the most entertaining bit was watching William take his first sip and then laughing at his reaction. 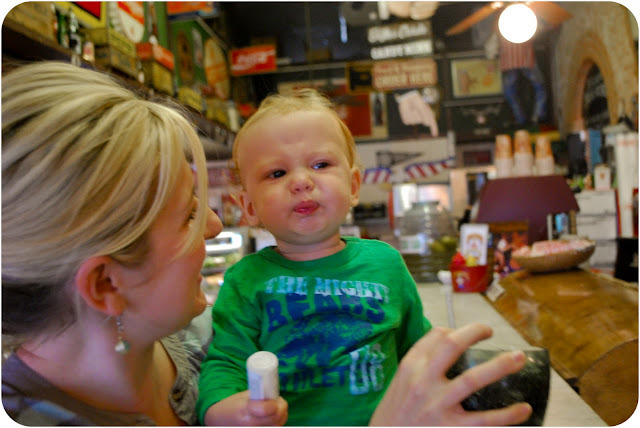 He was not fond and that's OK because I don't want him drinking soda anyway. Hypocritical? Nahhhh. Then we made our way over to Julian Pie Co. and I was immediately drawn to this tiny house covered in vines. 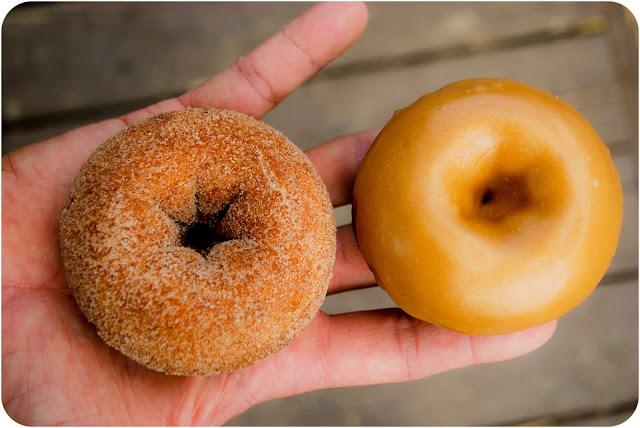 We purchased an old fashioned apple pie to take home but had to immediately consume one of their cinnamon sugar and maple glazed cider donuts. Next door was a really cute Antique Shop that had some awesome finds for great prices. I wish I had more cash with me and that we had brought David's truck. 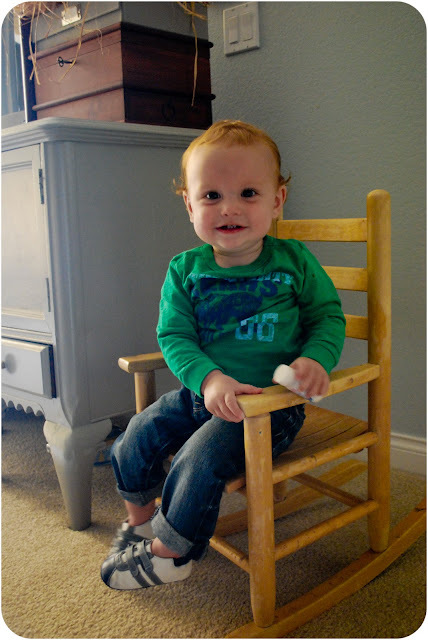 However, I did find this darling wooden rocking chair for William for $15 which I plan on painting (color ideas?). He is already have a great time getting off and on and every time he poses with a big grin to acknowledge the accomplishment. 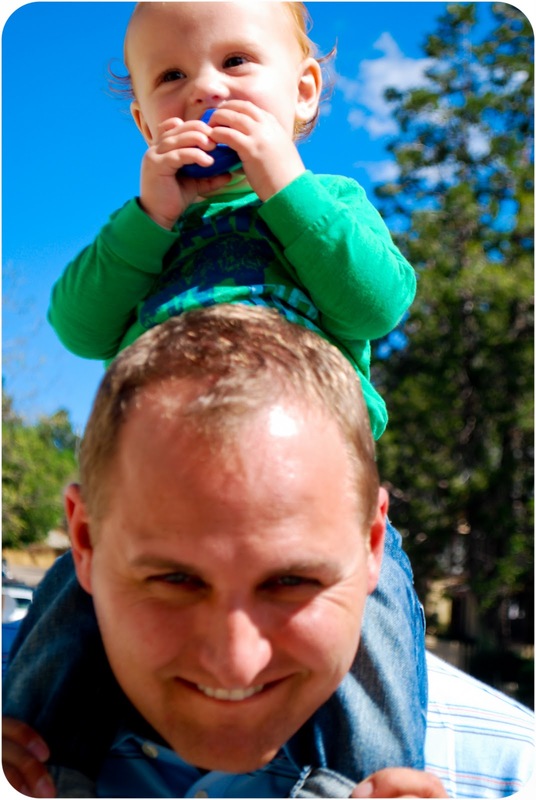 After an exhausting day of sitting on daddy's shoulders as we walked around town, William was very tired. We caught him laying his head down on the back of his highchair while we ate lunch so we knew it was time to head home. 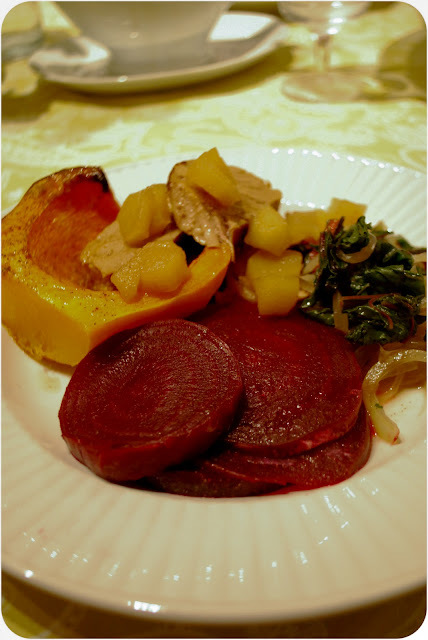 Then we finished off our "H" day by making a bountiful meal of Fall Harvest foods: roasted pork tenderloin and roasted butternut squash in a honey butter sauce, swiss chard and sauteed onions, fresh beets and an apple cider reduction sauce with chopped apples. All those root vegetables were incredibly satisfying. 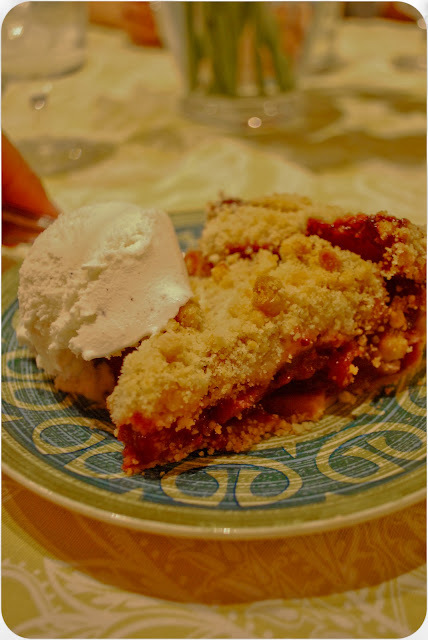 And then, of course, we had to end with a slice of delicious apple berry crumble pie a la mode (thanks to my favorite vanilla bean ice cream). Hello Autumn! You are most welcome!!! A red rocking chair....barn red. That's my vote. We went to Julian over Memorial Day and I have to say that I fell in love with it. It's such a pretty little town. 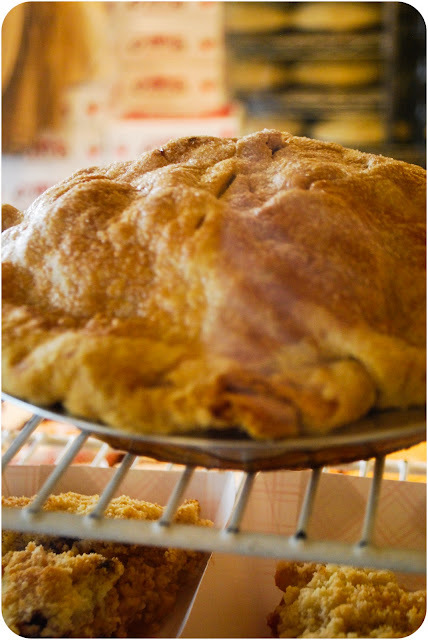 We ate at that same restaurant and bought that same pie, both of which we loved! 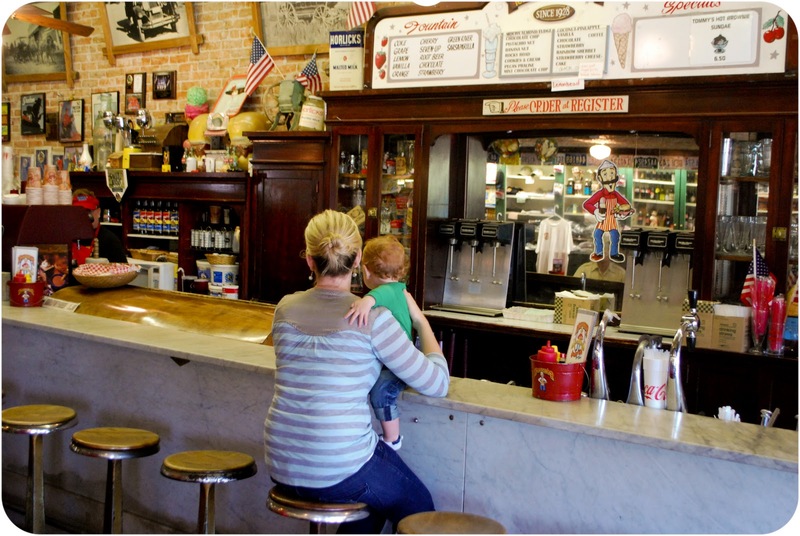 That little rocking chair is adorable, what a find! My mouth is seriously watering right now!! 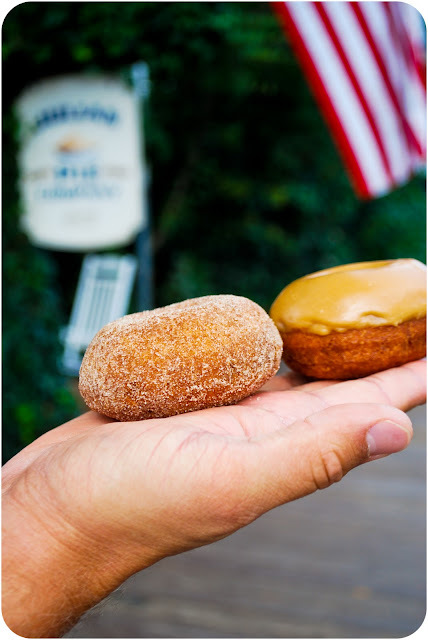 I especially want one of those doughnuts! I must be pregnant or something! Where is that by the way? Is it in San Diego? I like 'H' day. Those foods look sooooo good!! We saw your parents and some of your sibs in SLC over Conference weekend. It was fun to see them again and SUCH a great Conference! 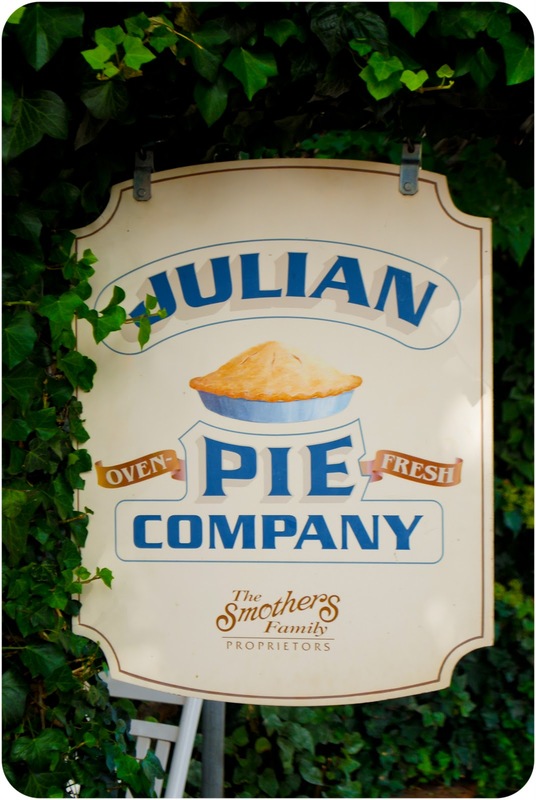 I am from Brawley, CA so we would often visit Julian growing up. Even now when we go visit my parents we will go there. Such a wonderful place!! I know your husbands family (ElCentro was in our Stake) I was friends with his older sister Beth. 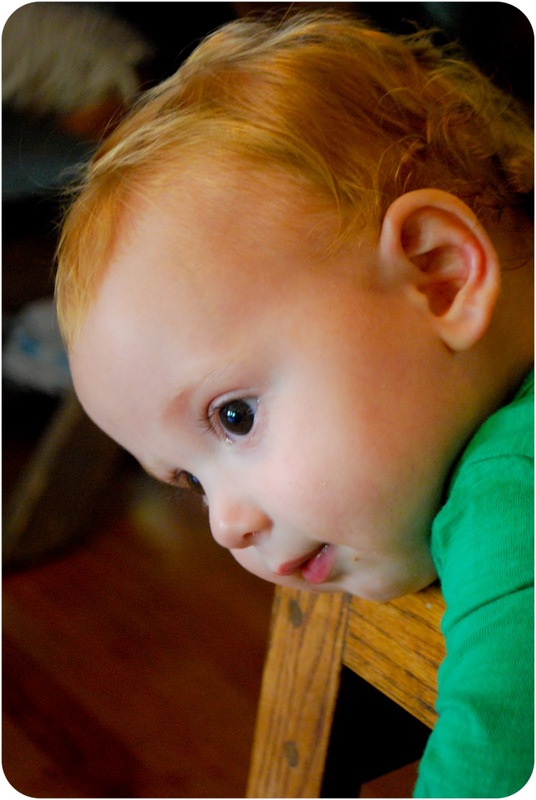 William is so adorable I can hardly stand it! I can't wait to kiss him at Thanksgiving! I hope Alice will share! You are such a good mother - keep it up!